June Mist is an incredibly vigorous and robust cultivar. Big foliage, strong bloomscapes, and an extra early bloom season. June Mist typically starts blooming for us the last week of June and blooms through July. Hybridized in the north, JM is totally winter hardy for northern gardens. 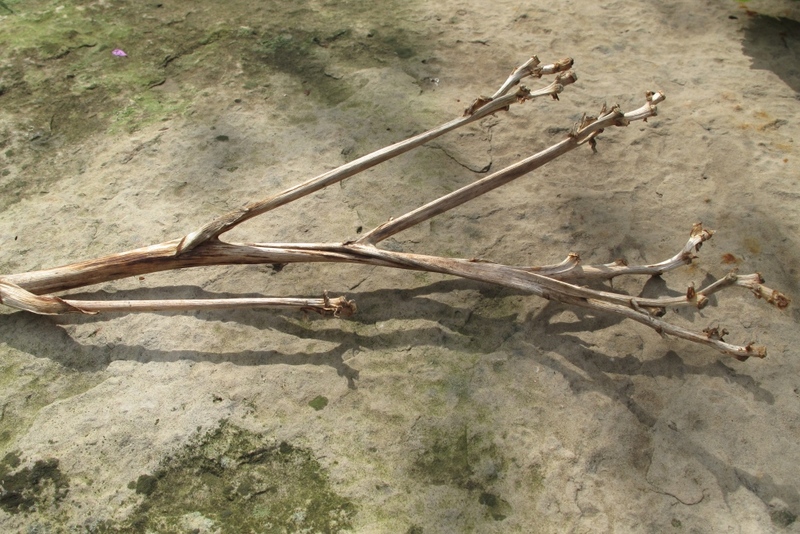 We have seen 4, 5 and 6 way branching on our plants with budcounts up to 36. 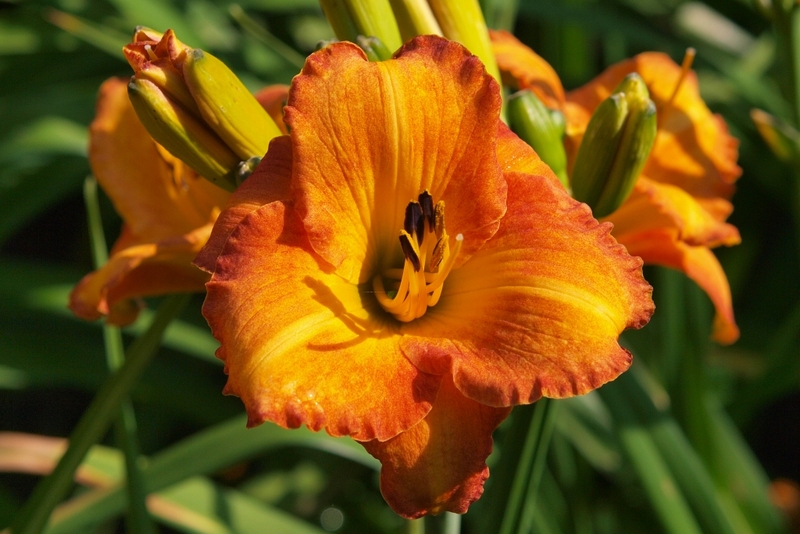 This is a choice cultivar for prolific bloom. The colour is described as pale orange, heavily stippled with fine red dots and a green heart. 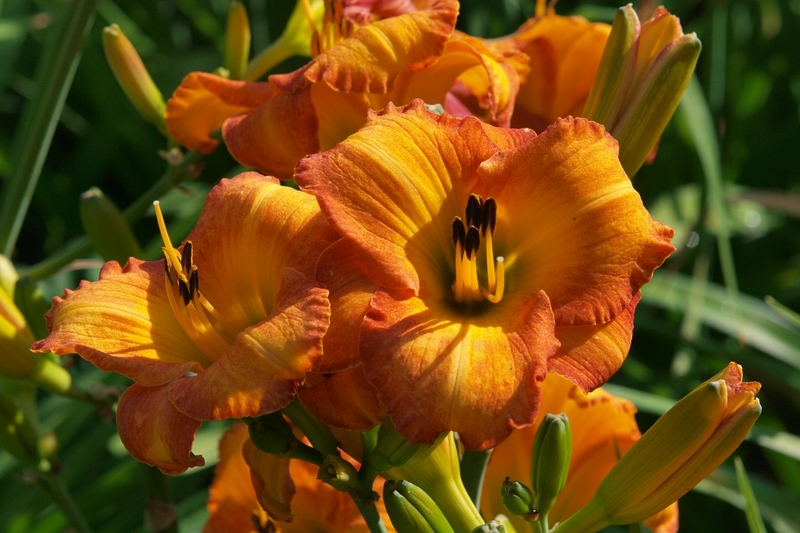 June Mist is one of our daylilies that brings the most exciting beauty to the early season when it displays a cluster of perfect blooms. Scape showing 6 way brancing and budcount of 36.